Brief Synopsis – Racial tension are re-ignited when a local sheriff finds a dead body that could possibly be from a murder 30 years beforehand. My Take on it – I saw this who-dun-it back in the 90’s and 17+ years later still remembered some of the important plot points. This shows that a movie like this one can leave a lasting impression. 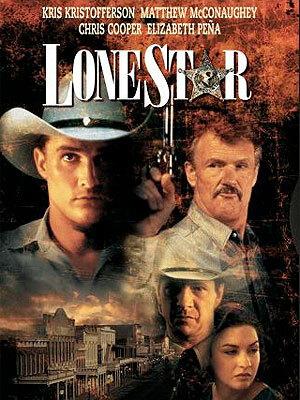 Director John Sayles does a great job of showing the tension in a small Texas town between whites, Hispanics and blacks and by telling the story with many flashbacks (that are not linear at all) definitely helps to keep the viewer guessing as to what really happened all those years ago. It’s interesting how the cast members from then have grown in stature but the talent is still there. Chris Cooper, Elisabeth Pena, Joe Morton, Matthew McConaughey, Chandra Wilson, Ron Canada and Frances McDormand are all excellent here. This movie juggles 3 compelling storylines that each connect in the past and in the last half of the movie. To accomplish this means the writing was superbly done. The lesson here is that you should be careful when journeying into the past because you never know what you may find. Bottom Line – Great storyline that lets the mystery unravel slowly and deliberately. Shows that you never know what you will find when digging up the past. Recommended!